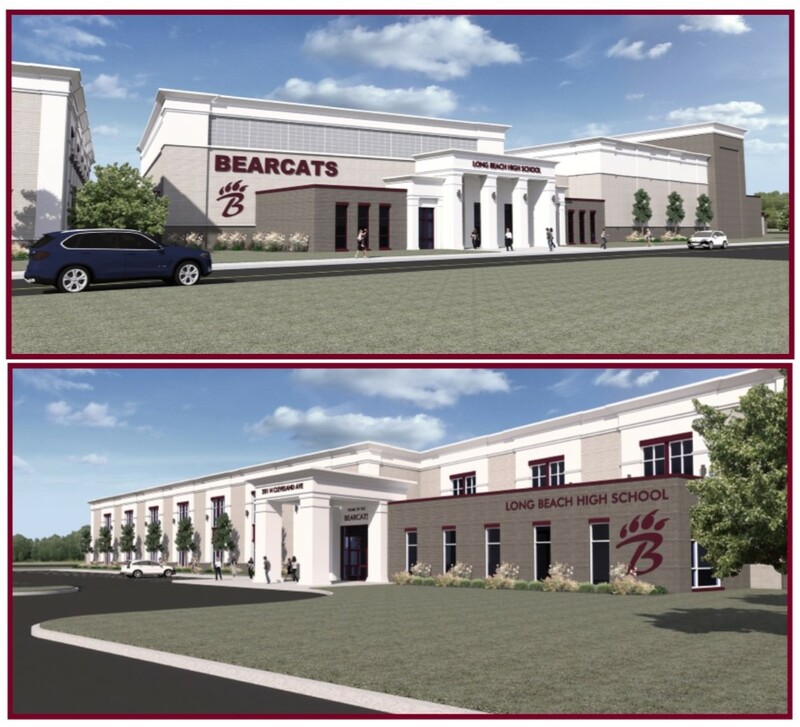 Since the bond was passed in August, things have been progressing toward the beginning of construction for the new combination build/remodel for Long Beach High School. The School Board put out a Request for Proposal and heard presentations from several architectural firms. Machado Patano (M|P) was selected from those to build the new school. The architects have held several meetings with school and district administration, students and teachers to fine tune the renderings and plans. District administration is finalizing plans and procedures for classes during the construction to minimize interruptions for students and staff. Construction is scheduled to begin in June 2019 with a projected completion date in 2021.